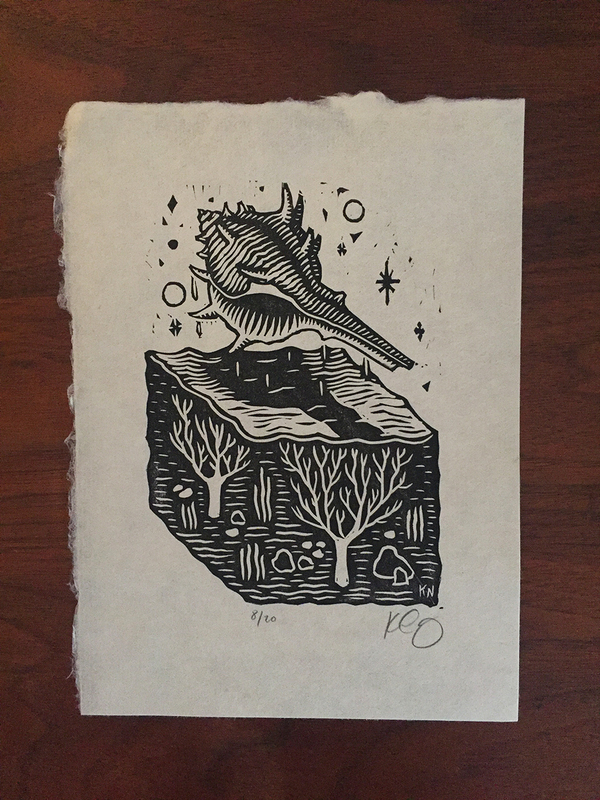 ~3.5"x5" linoleum block spoon-printed with black oil ink onto ~6"x8" sheet of 30gsm kitakata paper. Signed edition of 20. December 2017.